The ResMed S9 adapter is used to connect the SoClean unit to your CPAP machine. The ResMed S9 adapter is used to connect the SoClean unit to your CPAP machine. The H5i Flip Lid Seal is required to use. 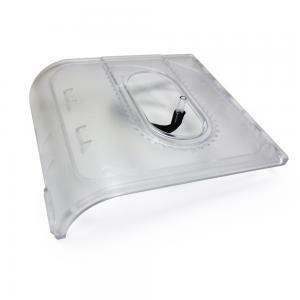 Most customers remove the H5i Flip Lid Seal from their current lid, however some patients prefer having an extra H5i Flip Lid Seal for travel (see review).